Data drives modern society. There isn’t any doubt about it, but if there was, you can just look at today’s headlines about stolen data or massive data breaches from some of the biggest companies in the world. Since data drives the world, then it stands to reason that data security is (or should be) the primary concern for most businesses. But think about this. When you take pictures on your phone or shop online, you are exposing your data to theft or ransom. That isn’t meant to scare you, just to emphasize that no one is outside the need to protect their data. In this article, we are going to talk about data safety, specifically by having a backup solution. Whether it is a local hard drive or a fully decked-out cloud backup subscription, there is a plan for you. Why Do You Need a Backup Solution? Data loss happens. Even under the best of circumstances, data can get lost. Hard drives fail, good data gets overwritten by bad data, or unforeseen issues can arise to make data inaccessible. The tricky thing about data loss is that once it’s gone, it’s probably gone for good unless a trained IT expert can retrieve the data from a damaged or defunct drive. Data theft happens. Even the most secure and hardened data storage solutions can be cracked, leaving your existing data easy pickings for hackers. More importantly, stolen data can be wiped or corrupted easily, depending on what the intruder wants to do. More recently, methods of holding data hostage through data encryption have raised awareness for backups. These methods typically involve a hacker putting encryption software on an unsuspecting computer (or even a series of computers on a network) and encrypting the main hard drive. The thing about encrypted data is that it is completely unreadable without the encryption key. So, the hackers encrypt the data with a key and threaten to delete that key if they aren’t paid a ransom. In these cases, the data is rendered useless and, unless the owner has a backup, it’s simply gone. Hardware isn’t perfect. While it typically happens along a scale of years or decades, hard drives can fail. And once they fail, it could take an experienced computer forensics expert to retrieve data contained on the drive, if they even can. These different scenarios are applicable in both residential and commercial contexts. This means that data backup is essential, no matter if you use a computer for mission-critical business data or if you’re just storing pictures on a home computer. What Kind of Data Backups Can I Use? Typically, there are two primary forms of data backups that you can use to keep your data safe. Local backup storage uses local media to store data. Crude forms of local storage can be CD-R storage or external hard drives, and more advanced solutions automate data backups to local server machines or network-attached storage. 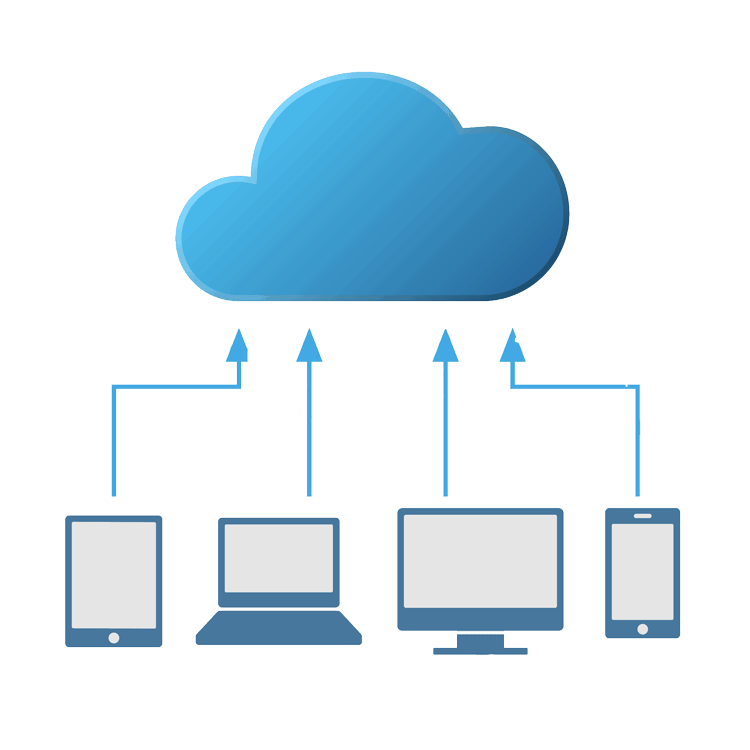 Cloud backup copies data to an external server, allowing accessibility through cloud software. Each version has its own advantages and disadvantages, and each provides options for addressing your storage needs. Local storage solutions are just that: data stored locally to your location. 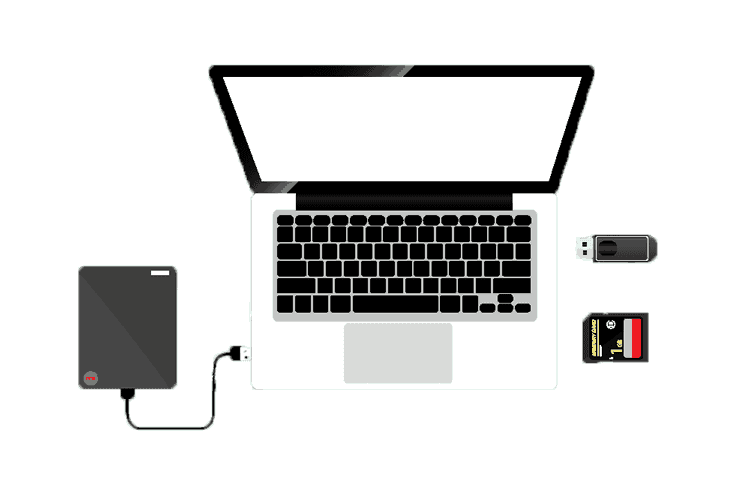 Common and basic forms of local data backup involve using some form of media to make additional copies of your data that you can access in your home or office. Common forms of local backup have evolved over time. Initially, magnetic tape was used to store data as backups so that, if errors occurred during regular use, system administrators could rewind their systems without too much of a disruption. This method also included backups like magnetic floppy disks that you would commonly see in the early days of home computers. 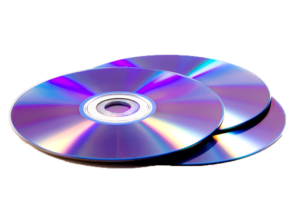 However, magnetic storage isn’t the most cost effective and the technology has fallen by the wayside as file sizes started to increase and backup requirements demanded larger storage media. Two developments spurred the rise of local storage as the go-to for backups. Platter-based hard drives grew in storage volume while dropping in cost. Over the decades, HDD storage sizes climbed from MBs to GBs and all the way up to TBs, while the cost-per-GB continued to drop. This meant that having a dedicated drive or a backup external drive was more and more attractive to commercial and home users. 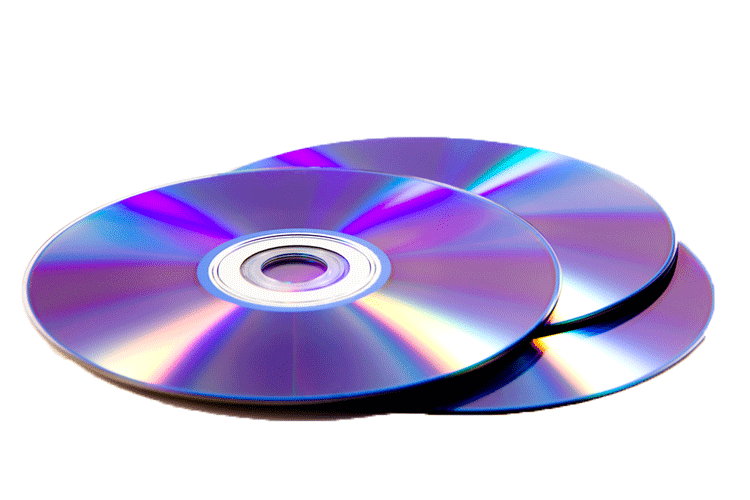 CD-R technology, including CD burners and recording software, emerged as a way for consumers to easily store data on CD media. CD-R storage was a cheap way to store several gigabytes of data on a single disk, making archiving data easy. Likewise, attaching external drives to a network (or just to a computer through a USB cord) gave people tons of storage for a low up-front investment. Local storage gives users control over their data. That is, they own the media their data is stored on. They can access it, copy it, and move it on their own terms. Sometimes this is incredibly important. For example, businesses that need rapid access to data, or multiple redundant copies, might opt for more complete storage solutions like RAID or NAS setups. There are several limitations to local storage, however. For starters, local storage doesn’t set itself up. Someone must know what they are doing. And if they don’t know what they’re doing, then setting up a reliable local backup solution can be extraordinarily difficult. This also means that if there isn’t a specialist on board, then somebody has to perform the backup themselves (unless they have some local backup software set up). Most importantly, however, is that local drives can make it easier for backups to fail due to unexpected damage. If a flood, power surge, or fire occurs on a home or office, then the primary data, along with any local storage media located in the same building, are at risk. At that point, it doesn’t matter if there is a backup, because it is all at risk. Cloud backups are typically maintained on several, decentralized servers for redundant data protection. This means that if a single server containing your data fails, then your data won’t be lost. Cloud backups provide you with multiple copies of data, often with automated software handling data transfers. That means you can have local data and remote data backups syncing in real time. Cloud storage and backups provide options to secure data across several applications. 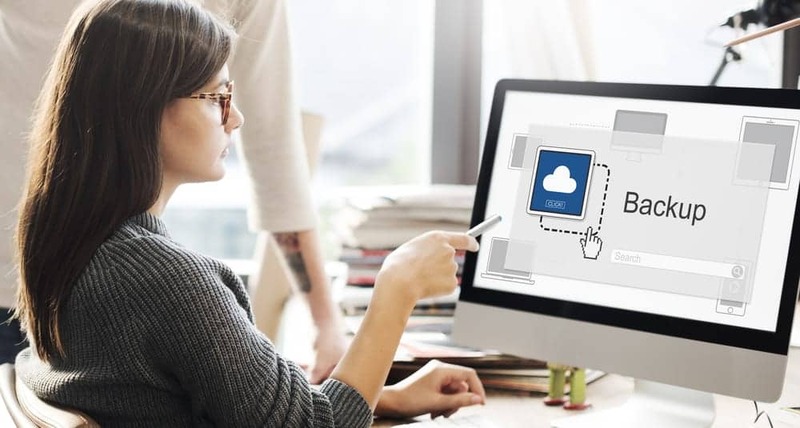 Whether it is simply storing data directories for redundancy, backing up information for public access, or synchronizing data across SaaS services, cloud backup gives you a lot of flexibility. If you’ve ever used services like Google backup on Drive or Dropbox (either consumer or business versions), then you have some idea how this works. You are probably also familiar with the accessibility that cloud backup provides—with a cloud, you often have the option of accessing the data remotely from any location through an app or a web interface. And new cloud backup software exists to link your cloud accounts with your PCs. Many major cloud providers provide this software free to consumers. One place where cloud backups can fall behind local backups is security. If you store data to a cloud that has a public-facing access interface, you are inherently trusting that your data will not be hacked or stolen. Most cloud companies use advanced security measures as well as provide encryption services, but the most private form of data backup is a server that doesn’t face public access. Phishing scams become more common during the holidays primarily because more of us are receiving gifts and newsletters from the businesses we follow online. A “phishing” scam is an effort by hackers to pose as official entities, like businesses or banks, to trick you into providing your personal information. Phishers count on the fact that many consumers, presented with an official looking letter, will fall for the trick. This is only exacerbated by the fact that many email programs will hide the actual email address of a sender and replace it with a name. If you receive strange emails from a company that you shop with, always double check the sender. If it isn’t sent by someone at the domain of the business, then it is a scam. Otherwise, common sense rules here. No bank of business will ask for personal information via email, nor will the ask you to verify anything unless you specifically asked for it. If you receive any email out of the blue that asks for financial information or location, it’s most likely a scam.